The last 15 years have seen a sizeable decrease in gold production compared to the period before. In his latest piece on Business Insider, Frank Holmes wonders whether we have reached “peak gold” – the point at which mine production can only go downwards. While this may be up for debate, there’s no denying that production has fallen drastically in the last couple of decades. As explained by Holmes’ friend and gold expert Pierre Lassonde, the last 15 years have seen a sizeable decrease in production compared to the period before that. Whereas the 70s, 80s and 90s each saw the discovery of one or more 50+ million ounce gold deposits, ten 30+ million ounce deposits and countless 5 to 10 million ounce deposits, the article shows that the last 15 years only saw the discovery of a few 15 million ounce deposits with no larger finds being made. Mine discovery remains scarce as companies were forced to cut back on exploration due to lower gold prices. But near-term price fluctuations won’t matter in the long run, says Lassonde, as the supply squeeze is bound to lead to an intense increase in the price of gold. Making things even more difficult for the industry is the fact that new mining projects take so long to start up. The article notes that feasibility studies, project approvals and similar issues translate to a seven-year delay on average before a new mine can begin producing. And, unlike oil companies, the mining industry lacks a method to obtain its materials from hard-to-reach places. Holmes uses South Africa, a country with a long-standing tradition of mining gold, as a striking example of how far production of the metal has fallen. 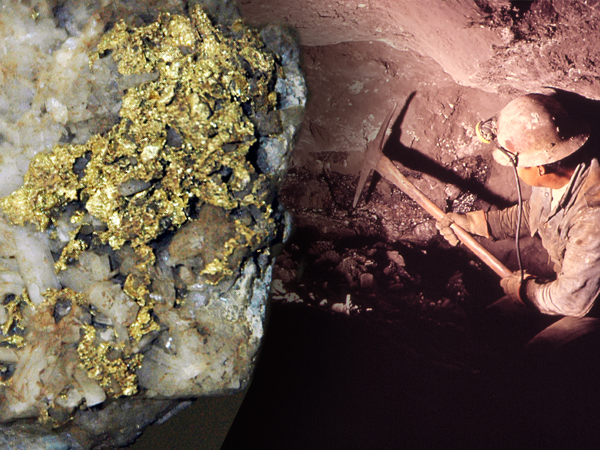 After being discovered in South Africa’s Witwatersrand Basin in the 1880s, gold helped transform the surrounding areas and grant them economic stability. And while the basin remains the source of more than 40% of all gold ever mined, production figures show a concerning decline. Compared to over 1,000 tons that were mined in South Africa in 1970, only 167.1 tons were produced there in 2016 and the nation no longer holds the spot of the world’s top miner. Holmes believes that the mining industry faces even more difficulties as the low-hanging fruit has already been picked, and new projects will involve more dangerous and more expensive ventures. And while there has been a promising uptrend in mining exploration over the last year, the article states that senior producers might still choose to simply acquire smaller companies with established projects instead of focusing on costly exploration. At any rate, both Holmes and Lassonde advise investors to hold between 5% to 10% of their portfolio in gold in order to benefit from upcoming upswings, with Lassonde referring to this allocation as an “absolute rule”.